Rare offering has it all. Central position close to CBD. Great exposure, easy access and no congestion. Plenty of parking and outdoor space. Great open feeling next to sporting fields. 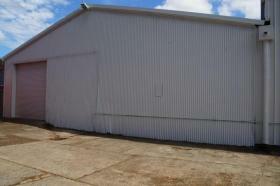 Spacious 384m2 warehouse with additional office space 44m2, very high ceilings and roller door access. Three phase power available to site. In a nutshell, you will be hard pressed to find a better property for a wide range of activities. Zoned B5, the property would suit warehouse and distibution centre, garden centre, landscaping supplier, bulky goods storage, light industries etc. Owners wish to rent this property immediately and are open to all offers. 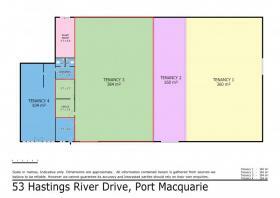 Why Port Macquarie For Your Business? Dynamic go-ahead town with entrepreneurial spirit. Conveniently located only 1 hours flight to either Sydney or Brisbane or a casual 5hr drive to Sydney. Super-high socio-economic demographics make Port a vendor's paradise. Port Macquarie is a vibrant town with one of the highest growth rates outside any major capital city.